Meilssa McQueen's first big break came from the world famous Comedy Store on Sunset Boulevard. She got a job as a waitress. At the encouragement of some of the Comedy Store comics Melissa did her first open mic night and hasn’t looked back since. Melissa made her Television Debut as a series regular on Socially Offensive Behavior with D.L. Hughley on B.E.T. 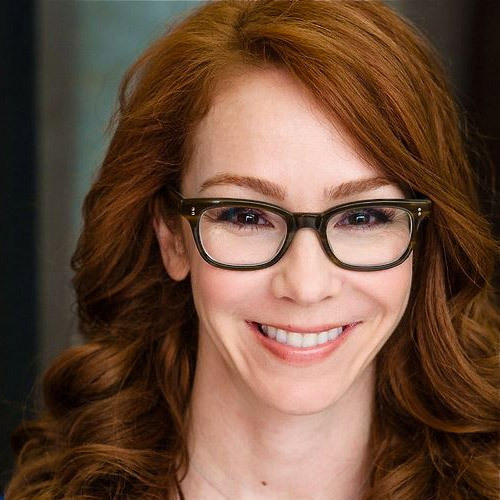 More recently, Melissa’s impressions of Kathy Griffin and Jennifer Aniston made her a recurring performer on Frank TV on TBS and also landed her a screen test for SNL. Her previous television credits include Short Circuitz with Nick Cannon and Atom TV and Vh1. Besides stand up Melissa has also written and produced sketches that have appeared on Comedy Central and MTV. Melissa and her sketch group, Hot Box performed at the Edinburgh Fringe Festival and their video “All I Want for Christmas is Jews” is a viral hit with close to one million views.